You Are Here: Home » Neymar news: 2018-19 » Has Neymar shown leadership skills since taking over as skipper for Brazil? In September of 2014, Neymar da Silva Santos Junior became the captain of the Brazilian national team at only 22 years old. His promotion to the captaincy at such an early age should not have come as a surprise, and it thrilled his fans – of which he has plenty, being named the “most marketable athlete” by SportsPro in 2012 and 2013. He is the fourth most popular football player on social media, behind David Beckham, Lionel Messi, and Cristiano Ronaldo, who has a staggering 52 million likes on his Facebook page. 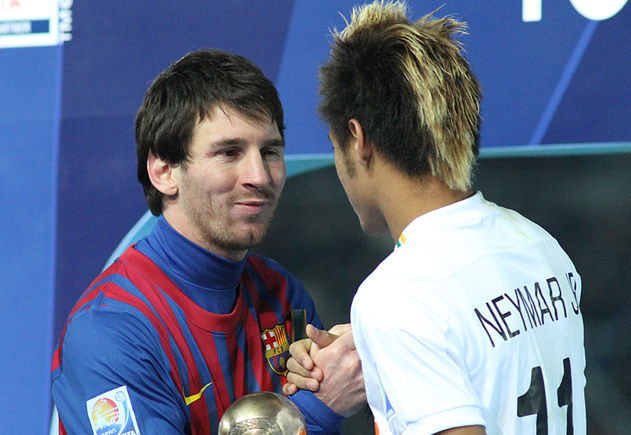 Since he started playing football, Neymar has been touted as the best of the best, a potential star. 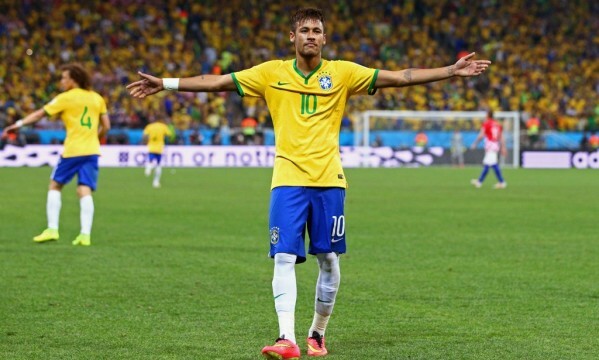 However, since becoming captain of the Brazilian national team, Neymar can’t just be the best of the best. As leader of the team, there are certain skills that he needs over and beyond what he has as a personal player. Has he shown the necessary skills since he took on the leadership mantle in 2014? Coach Dunga knows that the team captain is not just the one calling the shots for a game; he sets the pace and energy of the entire team on and off the football field. Does Neymar have that skill? 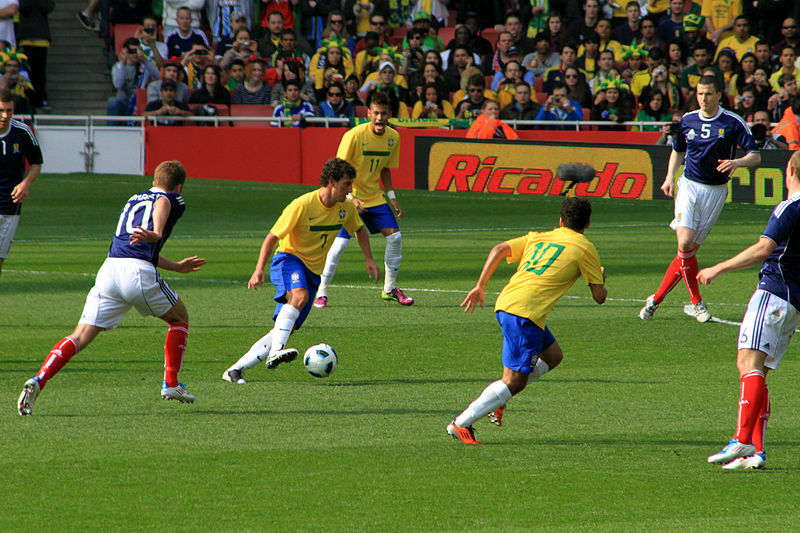 In his first game as captain, when neither team, nor spectators, nor most likely Neymar himself knew that he would be wearing the captain’s armband permanently, Neymar scored a single free-kick goal to Colombia’s zero, securing the victory for Brazil with only seven minutes left on the clock. 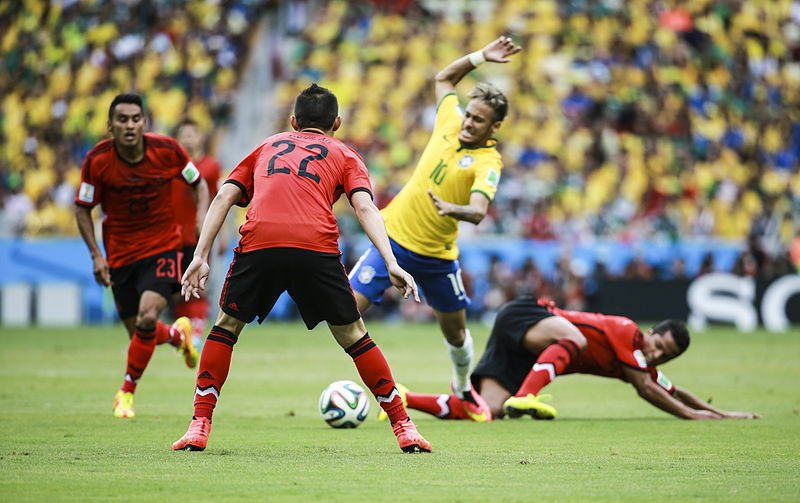 Neymar, at 23 as of February 2015, is young enough to demand unheard-of heights from his team, as a captain. He tasted the triple-win of the Champions League, La Liga, and Copa del Rey trophies in his first season as captain alone. Where other captains might have become more cautious after the rich winnings, afraid they might not reach such heights again, Neymar does not think he and his team have reached high enough. Three out of six? Not bad. But Neymar has never stopped short of excellence in his life. There are six trophies to gun for in this new season: the Champions League trophy, the Club World Cup, the Copa del Rey, La Liga, the Spanish Super Cup, and the UEFA Super Cup, and Neymar has decided that the Brazilian national team will win each and every one. Neymar clearly expresses this sentiment in an interview with Joaquim Piera of Sport. To effectively lead a team, a captain should have the will to win that does not depend on his teammates. Why? Because the captain is the one who infects them with that very same will. But for himself, it should be unquenchable. Neymar clearly exhibits that quality of leadership. There is a security in playing when the teammates of an effective captain know that he is not only a team player, but will readily come to their defense as well. Coach Dunga chose a young player who is highly skilled and speedily gaining experience…but was loyalty part of his player profile? Those who have followed Neymar’s career since his early football days know that loyalty is definitely one of Neymar’s strongest values. After all, the then-20-year-old football player refused offers from both the Barcelona and Real Madrid European football clubs to stay with Santos, because his contract was still to end in 2014. However, Santos set him free by 2013 to sign with Barcelona, with the club agreeing that his development was to be best continued in the European clubs. Neymar obviously has strength of commitment to his team, and that is immensely reassuring for any teammate under his captaincy. However, Neymar does not only have team loyalty, he is loyal to his friends and teammates as well. Nowhere is this clearer than Neymar’s defense of Barcelona teammate Lionel Messi after the defeat of the Argentine team in the Copa America. He told Sport clearly that Lionel Messi was one of the best football players there was, no matter how the media were lambasting him at the moment. That kind of leadership cannot help but inspire team members. Apparently, Coach Dunga chose right. One of the most remarkable things about Neymar is that his leadership is reflected both on and off the football field. One of the more fascinating things about this team captain to his fans is his hair: they never know what style or color it will end up being from day to day. At a certain point, when he had it in a mohawk, a great number of his young fans had their heads shaved the same way. It is clear that as the next football season kicks off, Neymar will have new challenges facing him as captain of the Brazilian national team. However, it looks like he’s the right kind of captain, and fans will find pleasure in watching him grow in this next season.